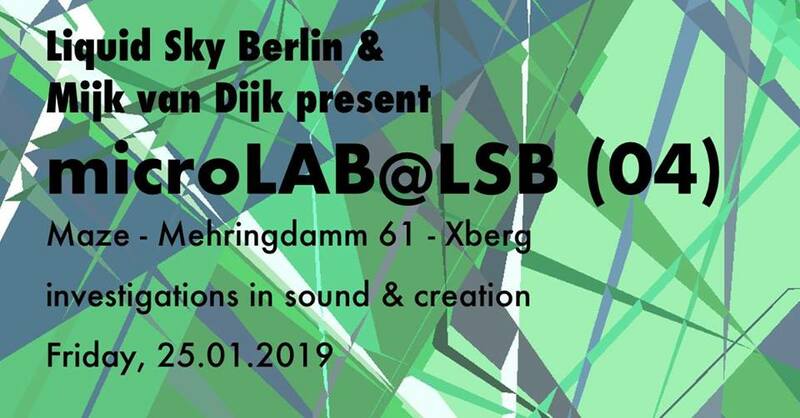 The „microLAB @ LSB“ is Mijk van Dijk’s experimental laboratory for new investigations in sound, creation and performance. With downbeat jams and changing guests, Mijk researches new music, styles and equipment, that he will take on the bigger stage in the forthcoming months. Join Mijk in his sound garage at Liquid Sky Berlin #02, Maze, Mehringdamm 61, 10961 Berlin, every last Friday of the month.